Just a quick post today as I've not been anywhere exciting, just been working a lot this week. I wore this to work yesterday and I look really grumpy and tired because it was about 8am when I took this picture, I am soo not a morning person. 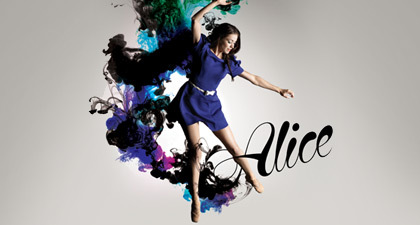 I just booked tickets to see Alice which is a Scottish Ballet production and I can't wait! I've never been to see the ballet before so it will be a new experience for me. The tickets only cost £10 because I'm under 26 which I think is a great incentive to get young people to go to the theatre. Have you been ever been to a ballet performance? Going to see any exciting theatre productions soon? This dress is adorable! You look lovely :) I need to check out Yours more often - their website puts me off unfortunately! 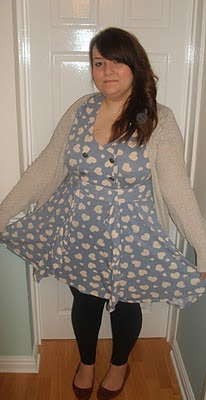 Thanks girls :) Very has some fab things especially in the Fearn Cotton range which goes up to a size 20 I think. 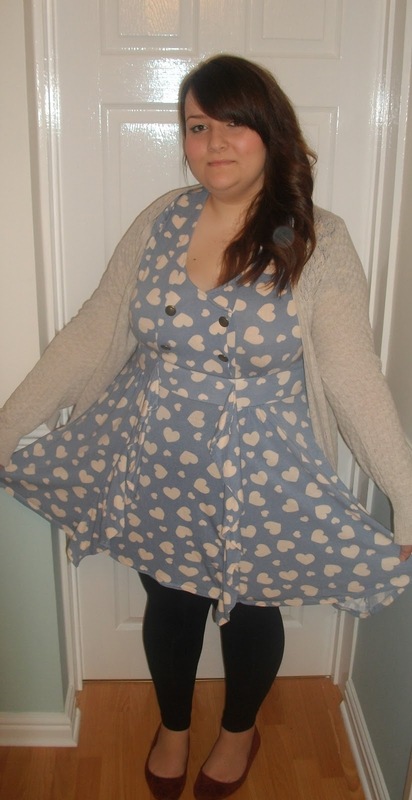 I've been reading your blog for a while now, but never commented - you look lovely and that's such a pretty dress! Also I want to go see that ballet, I read about it a week or two ago, and it looks like fun. Too few young people go see things like that nowadays, how sad! I love that dress, it is so cute! Going to the ballet is always fun, you'll really enjoy it! I went to see Edward Scissorhands the ballet probably about 5 years ago now, the only ballet I've seen. It was a similar incentive, this company used to offer all kinds of theatre tickets to school/college students for a fiver! I saw things like ballet which I'd never have gone to see otherwise. oh wow I love Edward Scissorhands, wish I could have seen that. The National Theatre in London run a similar scheme for under 25's, you get your first ticket for free and then tickets are only £10.